We offer Free delivery in the UK mainland when you spend over £300. With a 1 hour window delivery slot. 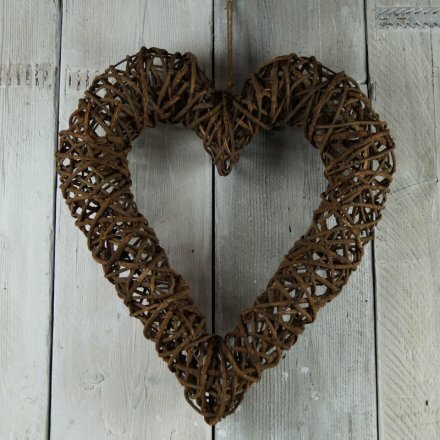 A charming shabby chic rattan heart in a dark natural colour. If placed outside this item will weather. It is a natural product and any imperfections are part of the design. A great item for weddings and home decor.